In 2014, Rev. 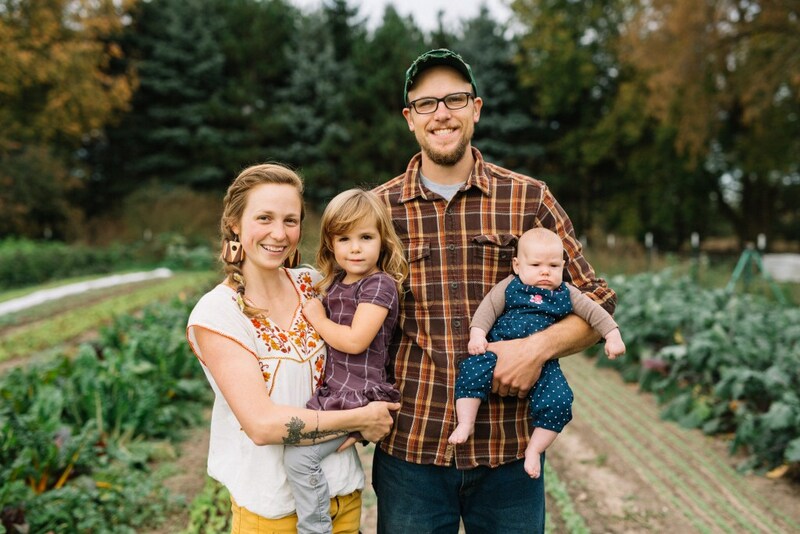 Nurya Love Parish began organizing a network she called the Christian Food Movement, and started a farm-based ministry called Plainsong Farm in Michigan. A former Unitarian Universalist and now Episcopal priest, Parish preached on ecology, food, and faith as far back as 2002, but her vision for putting the themes of faith and ecology together in her life and ministry began to coalesce in 2014 when she encountered Fred Bahnson’s Soil & Sacrament: A Spiritual Memoir of Food and Faith, which led her to Wake Forest School of Divinity’s Food, Faith, & Religious Leadership Initiative. There, she heard about watershed discipleship, and hatched the idea for catalyzing a Christian Food Movement that connects Christians who are integrating food and faith, in the style of the Jewish Food Movement. 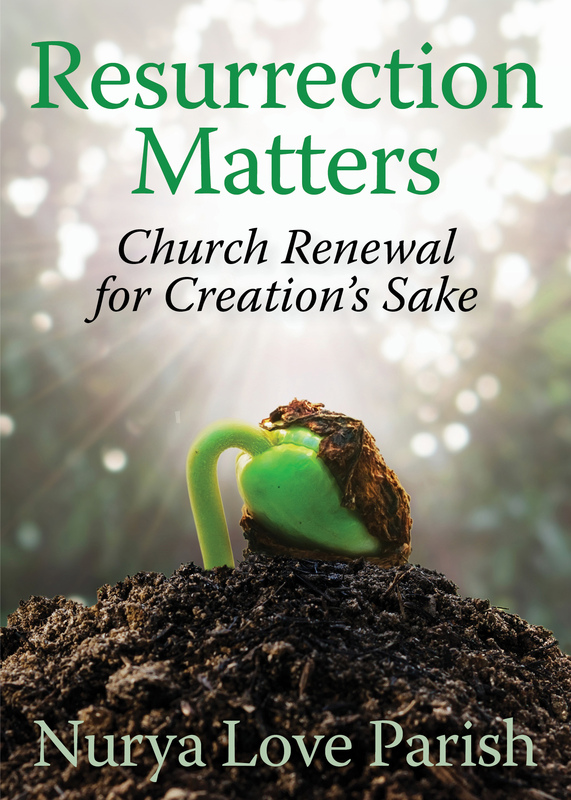 Parish recently released a book called Resurrection Matters: Church Renewal for Creation’s Sake, in which she tells stories and experiences about Plainsong Farm interwoven with a theology that takes seriously both ecology and Christian faith. She sees the connections between food and sacrament, justice and the land, faith and place as so integral that it is incredible the church has ignored them for so long. Since 2014, the Christian Food Movement has grown from a PDF listing Christian organizations working on food and faith to a website with a blog, directory, and classifieds section. You are invited to list your organization, and discover others who are working on similar topics. 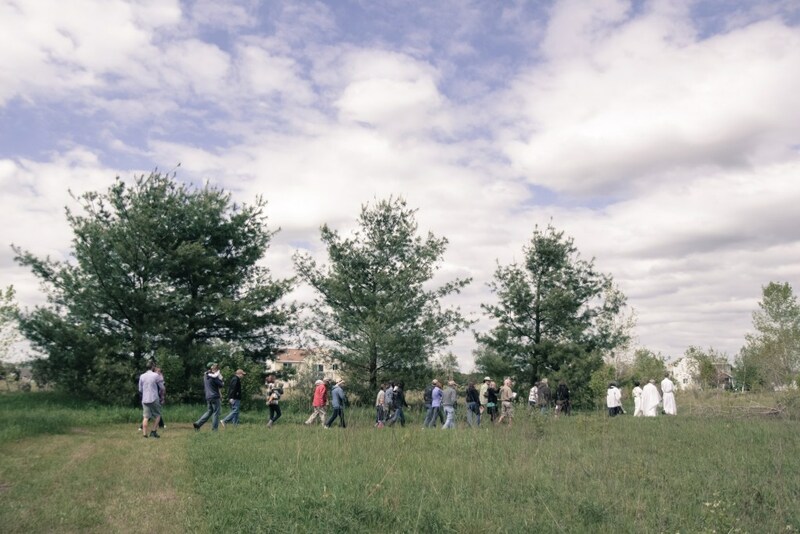 Parish’s work was emboldened by her encounter with watershed discipleship, and since watershed discipleship includes (but is not limited to) ecological and justice topics surrounding food, many in the watershed discipleship community will undoubtedly be encouraged by Parish’s work. In the interview that follows, Parish shares about her background and call to ministry, her farm and website, and how she sees these as expressions of watershed discipleship. Cherice Bock: We would love to hear more about how your encounter with watershed discipleship sparked your idea for creating a hub for the Christian Food Movement. Nurya Love Parish: I had been feeling called to start a farm-based ministry for a long time, without really knowing what that was. So, it was really meaningful to me to hear Ched Myers’ reflection on scripture integrated with ecology. I had been looking for that for 20 years. That connection propelled me into religion, but I hadn’t found a really deep theological and scriptural engagement with ecology. And my life has definitely not ever been the same, both because of the farm and the Christian Food Movement work. I see God doing a new thing through our local work with the farm and through the people I’m connected to through the Christian Food Movement site. I think of watershed discipleship and the Christian Food Movement like I think of baptism and communion: they go together. If we don’t tend our watersheds, we can’t grow food and we can’t eat. We have to be mindful so that our food practices don’t have a detrimental impact on our watershed. The practitioners I know in the Christian Food Movement are kind of by default also watershed discipleship-type people. They’re focused on, “How does this make an impact in the community in tangible, incarnational ways?” And that’s what I see in watershed discipleship, too. CB: Have you always connected the ideas of food and your Christian faith? NLP: I would say, yes, to me these things were always connected, but there weren’t enough public spaces where there was a conversation around the concept, and how they were connected and integral. I became a Christian when I was in seminary studying to be a minister in the Unitarian Universalist Association a little over 20 years ago. What got me engaged with becoming a disciple of Jesus was the sense that there was something profoundly wrong in the world that I needed language and community to be able to address. That sense of something being profoundly wrong in the world came from being raised in Las Vegas, Nevada, which really is not water sustainable and not food sustainable (without a lot of industrial intervention, which in itself is not sustainable). Not having been raised in any religion, I still had a culturally Christian family, in the sense that we hunted eggs on Easter morning, and we put up a very small Christmas tree. I was drawn to Jesus without really liking Christianity. And then, when I was in seminary, I found a kind of Christianity that I hadn’t known before, and that I could find a home in. I made the connection between faith and sustainability sometime after I moved to Michigan in 1997. I came here to serve my first church and never left. The culture of Michigan is more oriented toward stewardship of the environment than the culture of Nevada, and that’s one of the reasons I am grateful to live here. I read a lot of Wendell Berry, and that was one way I started trying to answer that question of what is wrong with the world and why. His thinking got me into the work that I ended up doing in creating more intentional spaces for conversation around food and discipleship. CB: How are the farm and the Christian Food Movement expressions of watershed discipleship, as you understand it? NLP: Through the farm, it’s easy to see that connection. We are in partnership with our local watershed agency, the Lower Grand River Organization of Watersheds. I sit on their sustainability committee, and that is directly because of that 2014 experience at Wake Forest, where I learned about watershed discipleship. The next spring, I went to the annual watershed forum that our watershed agency puts on, and I noticed that they had no representation from any faith communities on their “community board.” Like a fool, I walked up to them at a lunch break and said that, and you know what happened next! And so I’ve been involved in our watershed agency ever since. Because of that, the farm is working to develop two partnerships within our watershed. One, the watershed agency was looking for a site for farmer education about best practices for conservation, so we are going to be a site for them. Some of the things we already do, and they’re going to help us install a few more. Farmers will come learn what conservation practices look like on the ground. Two, we’re working on a grant with the watershed agency to begin hosting farm-based environmental education for middle schoolers. We want the farm to be a place that has farm-based discipleship for Christian communities, but also farm-based environmental education that is available for secular and public audiences. With the Christian Food Movement, what I find fascinating is learning from other practitioners in other places. So much of what I’m doing is related to the fact that I read on the Internet that somebody else is doing it somewhere else. And that’s really what the Christian Food Movement site exists for, to make that process of learning easier. That way, people can implement what they learn in their own watersheds. CB: Can you give a bit of history of the farm, as well as a basic overview of how your farm works as a ministry site, and practically? NLP: When we started the farm, it was (it still is) on property that my husband and I own. It was our first house after we got married. The calling to start a farm-based ministry started as a quiet whisper. 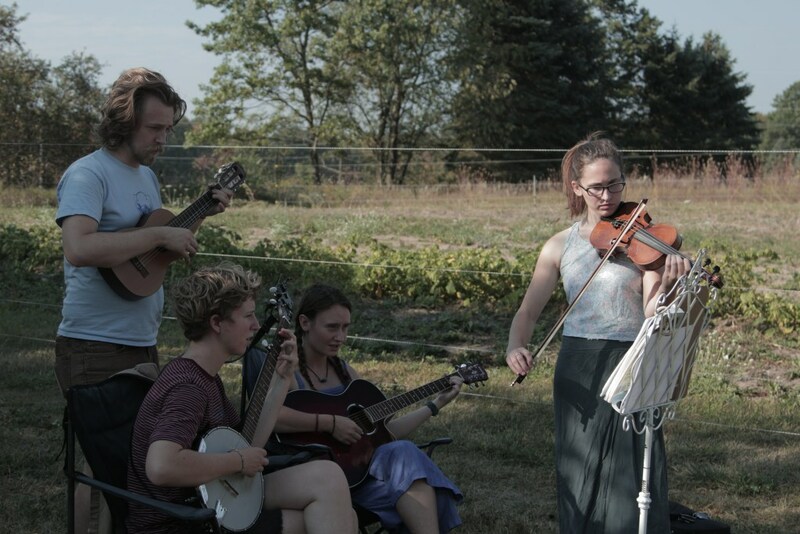 It went from a gentle invitation to, “This needs to happen.” It got to a point where every time I prayed, “Start Plainsong Farm…Start a farm ministry…” was all that was there, and I couldn’t get any peace until I started doing it. I realized that if we’re going to do a farm ministry, we need to have farmers living in the house. We couldn’t live there, because my husband and I weren’t farmers. So I prayed again and I said to God, “If this is your desire, show us another place and we will move.” I didn’t say that to my husband. We’d talked about the possibility of moving over the years, and he was always really opposed to it. Within a couple weeks after I offered this prayer, he came to me and said, “A piece of property just listed and I think we should take a look at it.” So I said, “OK!” And we ended up moving. That year, I met Mike and Bethany, who became the farm managers, through mutual friends. We didn’t know each other, but we all agreed on the concept we were working toward, and the values we were working from. We did some legal documents, and then I handed them the keys to my house and $15,000, and Plainsong Farm began. 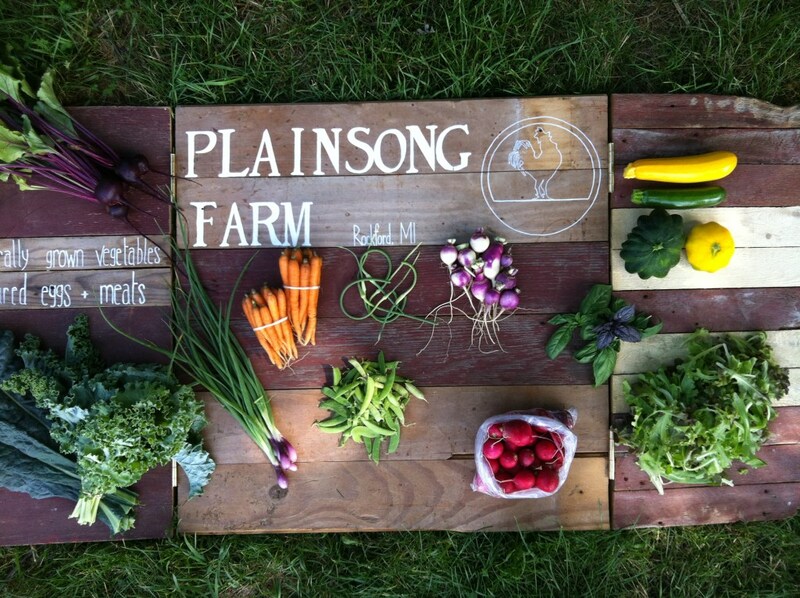 It’s a now a working farm with a Community Supported Agriculture (CSA) program that feeds 80-120 families each year. We also raise animals, and we donate a portion of the food we grow to charitable organizations. In addition to the agricultural conservation and environmental education partnerships I mentioned earlier, we’re also involved in a community wheat-growing project with the goal of growing wheat for communion bread. 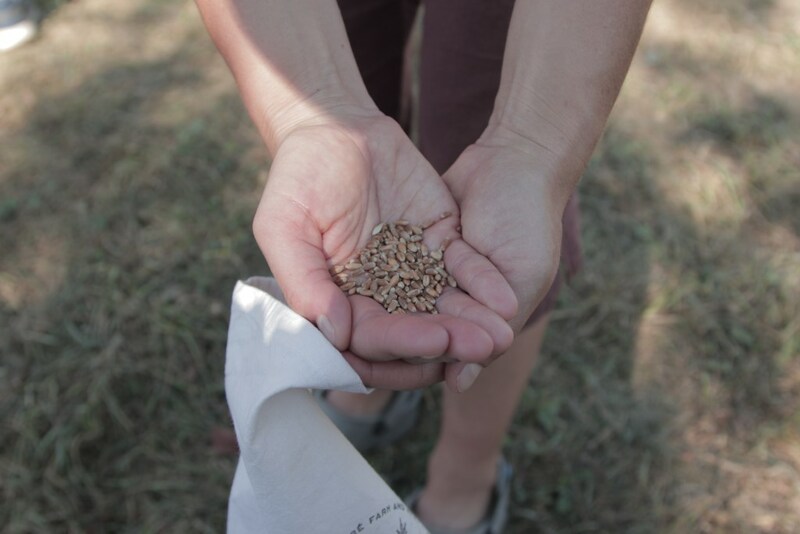 We will grow about 200 pounds of heirloom wheat each year in partnership with Honoré Farm and Mill. We ended up helping the Rev. Grace Hackney with her new Bible study curriculum called “Eating Together Faithfully,” which we hope will help others use farms as centers for worship and discipleship around shared meals. This curriculum is being field tested by church groups in 2018, based on the idea that the renewal of the church might come through the renewal of eating practices. And then there’s the work of the Christian Food Movement website, connections with the Episcopal Church, and consulting with groups in the broader church. We’re attempting to connect church groups that have land with organizations that have funding and expertise in farming, such as the Greenhorns. We’re hoping to help young farmers get access to church-owned land that could be farmed. The recent FaithLands gathering we helped convene is part of that. CB: It sounds like trying to do these things might be a little bit scary if I was doing them. What is the scariest thing you’ve done as you followed your calling toward more fully incorporating food-related projects in your ministry? NLP: [Uproarious laughter.] I’m laughing because that question is so apt. “Might be a little bit scary” is the understatement of the year! I think the scariest thing I have done is invite people I didn’t know to take control of property that I owned, to have that leap of trust. My grandmother had died and left me enough money that we were able to buy a second house. I don’t think I would’ve had the guts to do any of this if it had involved a lot of financial risk that jeopardized my family’s safety. I don’t have that kind of courage. But it was scary, as scary as I could get. The loss of control was scary. I knew that Mike and Bethany were either going to take care of this and it was going to work, or they weren’t going to take care of it and it wouldn’t work. I had no idea which one it was going to be. They had done all the right things, and brought an impressive resume. There was nothing in my experience with them that had raised any red flags about their capacity, but I just didn’t know. I have to also say, they have been amazing. They took as big of a risk as I did in starting this project. We’ve now been working together since 2014, and we had to work together to figure out, “What is a farm ministry?” and, “How are we going to make money?” That property went from not a farm to a farm! We’re starting our third growing season, and we have created something that we are all grateful to continue to work at. That is not always the case with new ministries and enterprises of this kind. I’m really grateful that I feel like we’re all still on board and happy to be on board. CB: Where have you found joy or experienced the presence of God as you’ve followed this calling? NLP: One of the greatest gifts to me of this project is being able to be in relationship with younger Christians and younger people who are interested in Christianity because they see it expressed in an integral way. I am a mainline pastor. I have been a mainline pastor in some variety for 20 years, and most of the world that I live in looks like it’s dying—but this part looks like new life and abundant growth and health and vitality and excitement and potential! It’s an incredible privilege and responsibility to stand at that intersection and speak to the institutions that no longer work, about the potential of ministries that are working—to try to transition resources from organizations that are supposed to be about making disciples to organizations that are. And then, really tangibly on the farm, it has been meaningful to be involved in Honoré Farm & Mill, which was started by another Episcopal priest, Elizabeth Duroff. 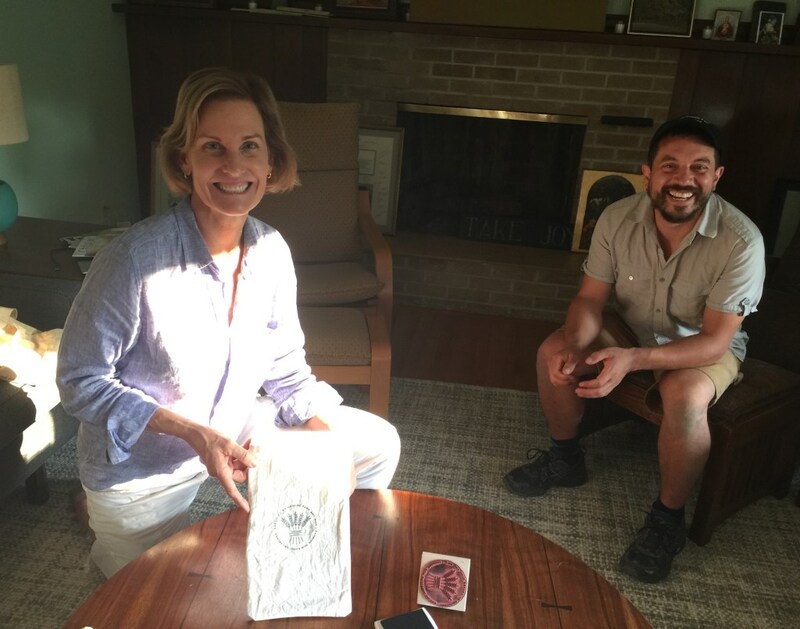 She started an heirloom wheat program in California a few years ago that does community wheat planting and community harvest, and then you use that wheat for communion bread. When we did that at the farm this past year, we were her first site outside of California. 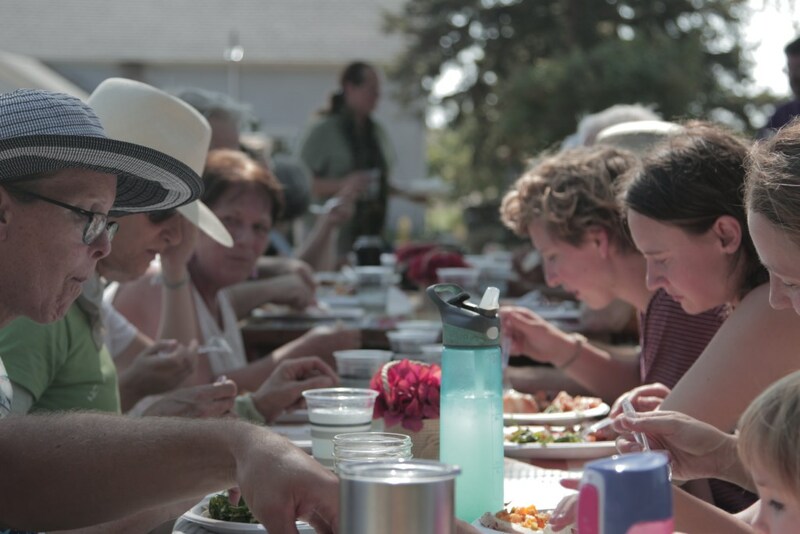 We had 30-35 people planting heirloom wheat on an incredibly hot day this past September. It’s a process that happens by hand. And we had musicians and a lovely meal, and we prayed and planted together. That day we had Methodists, Lutherans, Christian Reformed, Episcopalians, and semi-not-really-anywhere people, so it was a pretty diverse mix. It brought together people that were not churched but liked the idea of heirloom wheat, and people that were from two or three different churches—people that wouldn’t have worked together any other way. (I have a blog post about it on the farm site). I felt like it was such a pivotal moment in our ministry. It brought together all of the things in such a distilled fashion, because it’s about communion, and it’s about the parables of Jesus, and it’s about biodiversity, and it’s about seed stewardship, and it’s about regenerative agriculture—I mean, it was just about all the things at once, and with her program we were able to do it. I was so excited for that day. And other people were excited, too, and that got more people related to our farm, and that created more local partnerships that enable us to be in ministry with a wider circle. One of the people who came was a Lutheran pastor from one town over, and his church makes communion wine, so after this wheat experience, he donated a bunch of communion wine to our church, so now we’re using local communion wine, and as soon as our wheat gets done, we’ll have local communion bread, so I’m excited about both those things. CB: If people are doing projects related to the Christian Food Movement, how do they get their organization or congregation listed on your site? NLP: That is so easy! You fill out the “add listing” form. It is on the top menu bar. We also do classifieds, so if you’re looking for somebody to work as a farm hand or to help set up a church garden or that sort of thing, send me an email and I will post it. And just like the watershed discipleship site, I welcome writers. If you’re doing something related to food and faith, let me know. I find that the people who are doing something that other people want to know about often don’t realize other people will want to know about it. They’re busy doing it and they’re not as busy thinking about how to share it. But if you do want to share, our mailing list now has 1000+ people. You can sign up for our e-newsletter, which is a monthly round up of what’s new on the site. I see a lot of interest in this intersection, and so my job is to facilitate mutual learning. Bio: Nurya Love Parish was raised in a nonreligious home and is an adult convert to Christianity and the Episcopal Church. 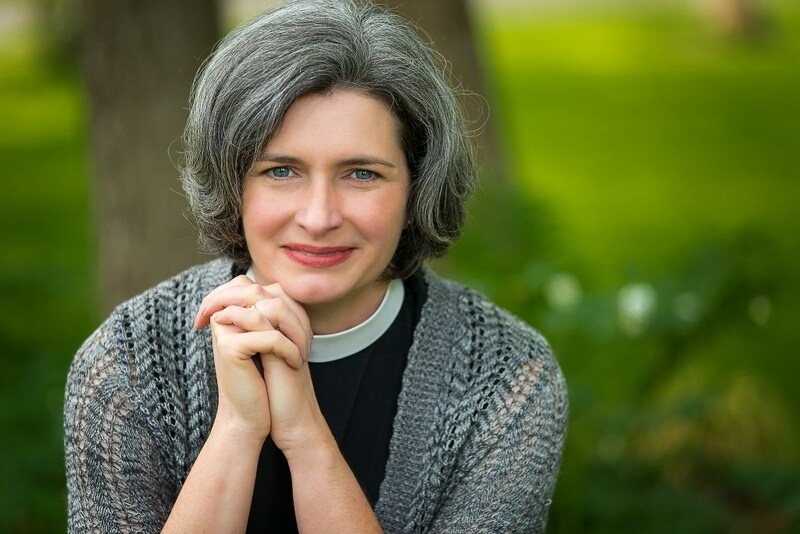 She is co-founder and Executive Director of Plainsong Farm, a new farm-based ministry, and priest-in-charge with Holy Spirit Episcopal Church, both in greater Grand Rapids, Michigan. She serves on the Episcopal Church s Advisory Council for the Stewardship of Creation and the 79th General Convention’s Legislative Committee on Environmental Stewardship and Care of Creation. As a former deanery chair and member of the Diocese of Western Michigan s Bishop Search Team and Diocesan Council, she is intimately familiar with the challenges of church renewal today. A graduate of Harvard Divinity School, she has more than twenty years of ministry experience spanning two denominations and the pre- and post-digital age. Follow her writing at churchwork.com, Plainsong Farm, and the Christian Food Movement.